There’s no doubt about it, socks and sandals just don’t go together. Yet neither do bare feet and hot concrete that’s been baking in the sun all day. To help you go open-toed at the beach, lake or pool, I’ve handpicked some great recommendations. From distinctive casual style to quality construction that won’t quit, these are the top 16 of the best flip flops for men. 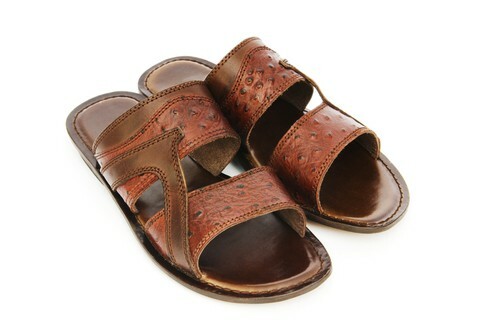 Yes, these sandals are for men and women, but one truth is universal: Their extraordinarily comfortable. The soft foot bed will make you want to wear them until the heels have completely worn out. And with bi-lateral stabilizers on the forefoot and heel, they’ll stick to your feet like glue the entire time. Each sole manmade with leather, and features around half an inch of comfort between your feet and the ground. They say Crocs are for people who have given up when it comes to style, but these men’s flip flops tell quite a different story. In terms of design these men’s Yukon flip-flops actually look great. Plus with soft leather, a messaging nub footbed, and a light midsole, they feel just as good. In fact, it’s like walking on air, and if you were to compare them to another flip-flop brand on the market, that are very similar to Rainbows in terms of comfort. Unlike anything else, these Dsquared2 Velour Gladiator men’s sandals stand out in a bold manner. The blue upper areas are made from soft suede in a asymmetrical woven design for a style that’s truly fitting for being made in Italy. And with that said, you guessed it.. These are on expensive end coming in at a few hundred dollars to own a pair. Perhaps it’s why countless celebrities have been seen sporting them like Lenny Kravitz, David Beckham and Usher among others. 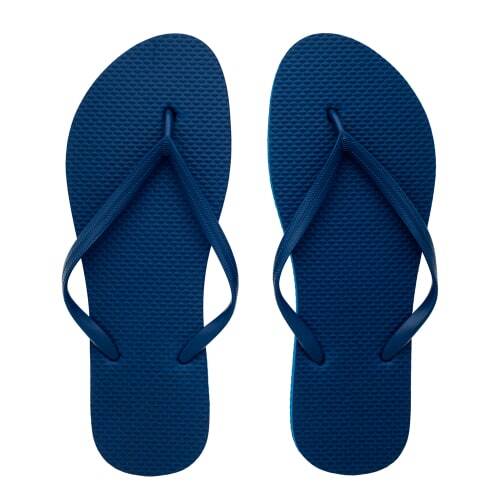 Since the 1960s Havaiananas have been making flip flops with their secret rubber recipe. An authentic pair feel as soft and light as marshmallows, and it might make you wonder just how they can last for so long. Plus with a wide assortment of bold colors and designs, you’ll a great pair of stylish accessories for years to come. And while they are a bit expensive, you end up getting more value thanks to their durability and comfort. Take a step in the sandals and you’ll feel like you’re walking right on a cloud. It’s all due in part thanks to a pylon midsole, rubber soul, and all around lightweight cushioning. But when it comes to style, these flip-flops have a lot to offer. For instance there are over 14 different color variations to choose from. There’s black and gym red, midnight fog and white, and even the simplest call of the all classic black on black. 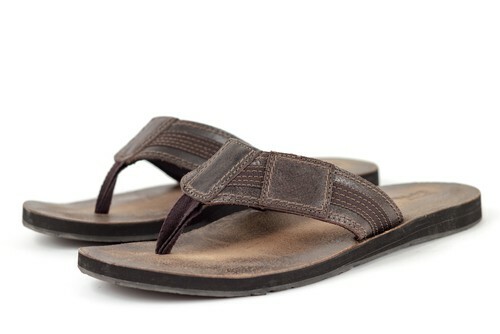 If you’re not a fan of how leather feels on your feet, these Nike Celso flip flops make for a great alternative. The rubber sole is paired with a fabric upper section and soft lining. To finish contrasting lines and crossed-stitching adds a touch of simple, classic style. Contrasting colors make give these Polo Ralph Lauren Sullivan Flip flops considerable aesthetic value. Their stylish enough to wear both on and off the beach, and are right in the middle of casual and formal. Each is made with leather and textile, and comes in your choice of colors from brown and blue, to black and black, and for a bolder look, orange and dark brown. Rainbow might be an odd choice to name a sandal brand, but don’t let that fool you. These men’s sandals are rugged, tough and the reviews are always top notch. Plus their simple fashion designs pair well with almost anything, and with 14 colors available your style options are endless. For material, these Rainbows are made of leather with a triple glued rubber sole, and a nylon toe piece that’s reinforced with a durable X box stitching. Inspired by the ocean and made right here in the USA, these leather men’s flip flops are perfect days spent out on the beach. They are true to fit, snug on size, and generally last around five or so years. And I’m sure you’ve heard that annoying clap sound that tends to happen with most flip-flops, but don’t worry. When it comes to Reef they really go the extra mile with designs. Not only are they extremely comfortable and supportive, but they also don’t talk back with every step you take. 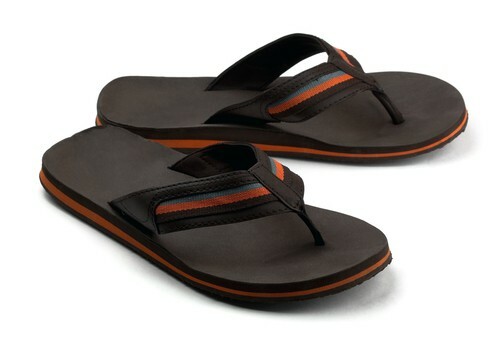 Another great choice by Reef is their Slap II men’s sandals which come in four distinct colors. Each is made in American and comes with built-in arch support, a 1.25″ heel, and a molded-EVA footbed. The soles are of course made of rubber, however there are some nice upper leather touches and finer embossed details. However, with all of this comfort does come a downside as they tend to make a clunking noise when you walk in them. If you can get past that minor gripe, the springy and light feel make the experience of walking in them worth it. Sanuk’s beer cozy men’s flip flops are as close to walking on a yoga mat as you’re going to get. The insoles are much thicker than most and warp around the couture of your feet. Walking in them feels cushiony and comfortable, but when they get wet, you can certainly hear them making noise. 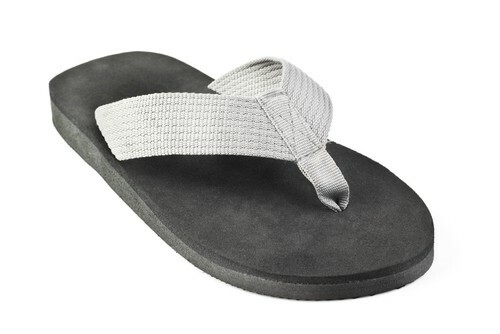 However, if you like flip flops that are extremely soft, these are as soft as they get. Built for the gripping action, Teva aka “nature” in Hebrew, has been perfecting their men’s sandals for the past twenty years and counting. Their signature hand logo represents the combination of water and friendship. It’s sort of like how their Mush men’s sandals are put together with two different parts. On the top there’s a soft, squishy upper layer that is best described as “mush”. On the bottom, there’s a stiff base that has a bit of flexibility to it. On the key takeaways from this design is that they tend to stay wet for longer periods of time. Looking for a bit more class in your boardwalk stride? These Tommy Bahama Myer slide sandals generously provide it. With embossed leather all around, it not only makes for lasting comfort, but also provides for a elegant appearance. 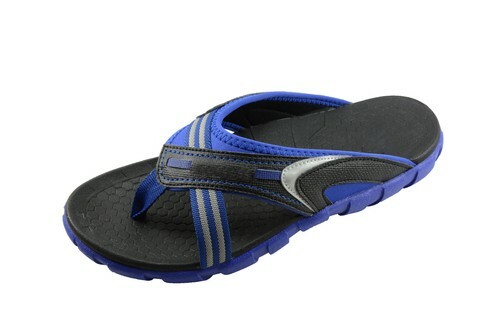 Made for both men and women alike, these flip flops feature orthaheel technology. What this means is the footbed is engineered to remain with your foot while moving around. And the deep heel cup with keep everything in place to your most comfortable, natural position. Interestingly enough, they received the APMA (American Podiatric Medical Association) seal of acceptance. If you find it painful to walk or have knees problems, these flip flops just might be the cure for your beach blues. Just keep in mind they tend to run a bit smaller in size, so order up. Last but not least, is a little know secret. Wantdo men’s flip flops feature style that’s truly one of a kind. With a wood grain base and running color stripe through the middle, the aesthetic appeal is high. 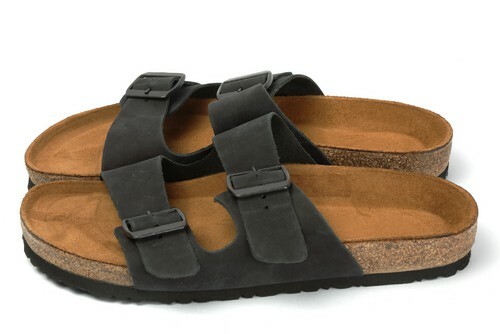 Plus they come in four different colors, all just as comfortable, with sapphire blue, dark blue, brown and black. And the best part, they won’t break the bank or your wallet.